St. Patrick's Day Special, 25% Off! 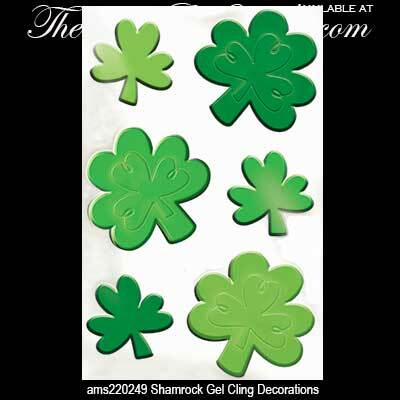 This set of 6 shamrock shape gel cling Irish decorations are great for St. Patrick's Day! These shamrock gel clings are in various shades of green and measure either 1 3/4" or 2 1/2" wide. These reusable Irish decorations are in a package of 6 clings.